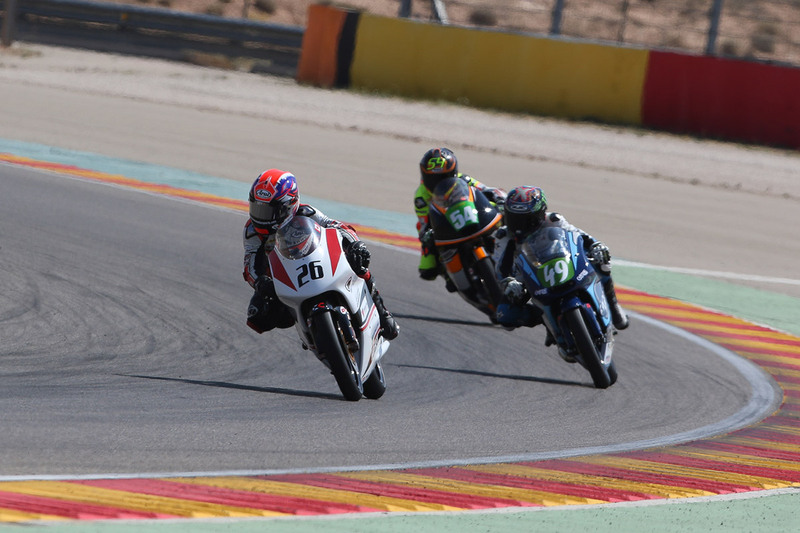 Motorland – Aragon was host to Round 6 in the Spanish RFME Campeonato de España de Velocidad (RFME CEV). Canadian teen Jonathan Finn and his XCTech team were eager to continue their progress and build on the momentum from the previous rounds. With nothing but blue skys forecast for the entire weekend, the only concern was the 400 temperatures that Finn would experience for most of the weekend. “I’ve never raced in temperatures this high before so it will be interesting to see how I am able to cope throughout the weekend with this heat” said Finn. 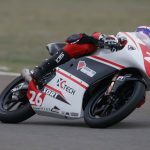 With practice sessions Thursday and Friday, Finn was able to adapt well to the layout of this dynamic Motorland circuit. “Each practice I was able to find time and improve a little every session. With the long straights here I wanted to work on my drafting especially down the back straight, so getting in with a group of riders and letting them tow me around was important. My overall progress on the time sheets was not what I was hoping for but there was progress and know I could find more time,” said Finn. Saturday’s qualifying practice sessions would be bittersweet for Finn as he showed good improvement in the morning QP1 session, but the QP2 session later in the day did not produce the results he was hoping for. “About half way through QP2 there was a red flag so it took away my rhythm. The session was going well, I was running in a large group which was good for me to chase these fast guys around,” said Finn. 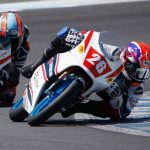 Jonathan Finn competes with support from Canadian Tire – Cobourg, Arai Helmet Americas, Bickle Racing, Impact Safe-T Armor, VnM Sport, Sidi Sport, and SPY.